Best bus transport systems. Chinese Straddling Bus. London Bus Study. European bus systems. Buses tend to be slow, crowded, and now always able to take one to one's desired destination. But there's a new bus in town, or rather in China. 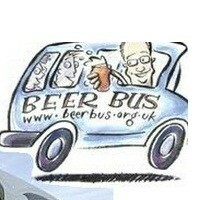 And it may well be the bus design we will all be using in the future. That said, the city of London did some interesting transport studies some years ago. They established that if cars were removed from the roads, buses would travel far more quickly and would effectively move people around far more efficiently. In fact, over all, people would reach their dastardly destinations more quickly because it is the amount of traffic on the road that slows traveling time down. That’s because combining busy streets with buses which stop every block or so, and time, which waits for no man, marches on. Sometimes, it marches right past the time you were supposed to start work. In other words, buses run late frequently, and it is with that little fact in mind that I have looked at bus systems around the world. There's a new bus in town, however, and it may change the way that we look at buses. However, before we get there, let's look at the various bus systems around the world. There's a New Bus in Town... Can you see it? Europe, England, and Australia have well developed bus systems, even though they still sometimes run late, can be slow, and one may have to change buses several times to get to one’s chosen destination. And, yes, there may be a six minute or more wait between buses. However, for the most part, one can get to almost anywhere through the bus service. The issue is, though, getting cars off the road, and with this in mind, a lot of people are busy designing new bus services, so ride with me on this tour through what's happening in the world of buses. London's Amazing New Bus Design! Spain and France Work with European Authority to Make Buses as effective as Cars. The European Authority has been reinventing the bus services In order to get more cars off the road. Some of it has already been in operation in a few years; some is currently going into operation, and some will be in operation shortly. The above video on the right explains it. The European Bus System of the Future is an offshoot of the International Association of the Public Transport and it brings together the five leading European Bus manufacturers and forty-two other partners in 11 EU countries .It's purpose, like many transport authorities these days, is to get buses up to a standard where people will give up on owning cars and prefer to use public transport. As bus systems are a lot cheaper than rail systems, there is a lot of investment in reinventing the bus. The local bus depot may not seem like the most glamorous of places to start a city break but by jumping on a bus with a decent guidebook, you can often get a whistlestop tour at a fraction of the cost of organised tourist coaches. Start with Buenos Aires: Start with the tango, end with Eva. There is one public bus that, for less than 50 pence, will show you much of what the Argentine capital has to offer. So important do European Authorities now consider the change over from individual transport to mass transport that they have invested a considerable amount of money into designing a bus system which will be vastly superior to any car ownership system. In order to fit that bill, the following criteria will need to be met. It will be substantially cheaper to use public transport. It will be faster or as fast as personal transport. It will be comfortable, clean and safe. It will be able to reach any area that a personal vehicle can. With this in mind, transport systems reaching from Singapore to London and from China to South Africa, have been working to design bus and land transport systems that fulfill criteria. America does not (with the exception of New York , Boston, and possibly San Francisco) have a well developed bus service. Generally, in America, there’s a reasonable bus service in the city center but no regular service to outer areas. Bus design is similar to bus designs in other parts of the world - except China. Obama has wanted to provide a high speed bus service rather than high speed rail because it's cheaper financially. However, looking at the video below, I see many thousands of people killed through terrible crashes. American Fast Speed Bus Service 162 mph? Honolulu leads the way in buses. Watch and Learn. Brazil: Cities are Made for People - not for Cars! Brazil has been designing their city for people and not for cars. The bus system, therefore, caters to people, including free transport on some buses and buses, in general, being very cheap. The City center is a no car zone, and the bus stops are something from a sci.fi world. Sixty percent of Brazilians use the bus service to get downtown to work. This includes professionals. While some of the video below is in Spanish, half of it in English. In terms of the design of the bus, pretty much universally, buses are still made the way they have been since their initial inception. Most of the changes taking place have to do with conserving energy rather than the actual redesign of the structure of the bus. There seems to be minor changes in design with most of the attention, as mentioned before, been about energy savings and faster, more efficient and flexible routes. The city government of Singapore believes that cities are made for people and that for cities to operate properly, fast, effective public land transport is essential. With this n mind, they have designed a combination of rail and bus services that integrate faultlessly with each other and enables the people of this great city to get anywhere they like quickly. Cars are rapidly becoming unnecessary. Singapore: Creating a Land Based Transport System for All the People. However China, ever inventive, and probably beginning to win the prize for the world's most creative minds has come up with an altogether different design. The design permits the bus to straddle the road so that cars and other vehicles can drive through/underneath it. The government is quite desperate to get as many cars off the roads as possible. Personal vehicular transport is both inefficient and expensive. Most cars tend to have only one occupant whereas the new Chinese bus can carry up to a 1000 passengers. In addition, cars require parkign space whereas buses are constantly on the move throughout the day. The New Chinese Straddling Bus that allows cars to pass through it and underneath it. Time to Change Your Ideas about Bus Travel? I love trains and buses, and I infinitely prefer to use public transport than the hassles of owning a car. So many people take owning a car for granted and are willing to pay out half their salary on its capital, maintenance, and running costs. Effective public transport, however, is wonderful to use. In cities where it is effective - New York, London, Paris, for example, many people chose not to own a car as it's simply quicker and cheaper to use public transport. It's time, we, the people, started telling our leaders that we want them to invest in effective public transport and to start looking at the various options. We have many. It's not that we lack the technology; it's just that we lack the will. Of course, Brenda. What on earth would happen to big business if we had big government? :) Just saying. I love riding buses. I wish CA would get a good bus system in every city. Of course, then we wouldn't be dependent on oil and car corporations. We can't have that. Jo Harrington - that's why they should never have been privatized! The buses in Britain are so expensive and unreliable that we all run back to our cars. There's always this talk about using public transport, shortly followed by bus and train companies putting the fares up again. The most effective way to get people into buses would be to make it economically viable for individual passengers. Ragimelil, we can start haggling politicians about that, can't we??? The buses in China sound fascinating. I wish they had bus service where I am. I just need to get to the store once in a while and would take a bus if there was one.